So one element of super-yachting that I have come to miss is the incredible cocktails we used to design; every drink had to fit in with a theme and of course the menu so our creative juices had to flow. Constantly tasting and remaking ensuring we were making a concoction fit for the bar at The Savoy. From Earl Grey Tea sours served in ice balls, lavender spritzers with fresh pieces of honeycomb teetering on the side of the glass, mango margaritas and a beautiful array of champagne cocktails. I very rarely drink alcohol anymore so this section will have hopefully a good selection of mocktails as well as simple homemade sodas that can be a refreshing alternative at any meal. Being rather British my love for this summer mix is in my genes however, since giving up sugar the traditional recipe is a little sweet for my liking. This fabulous version is made with kombucha, organic strawberries, cucumber and a load of ice. Great source of probiotics and bursting with summer flavour. Also can't wait to try a winter pimms with some ginger kombucha - think this good be a good combination too! There is a lot more going on in this picture than the lemonade however, as usual when I am popping a drink together for a guest I often forget to take a photo of it! 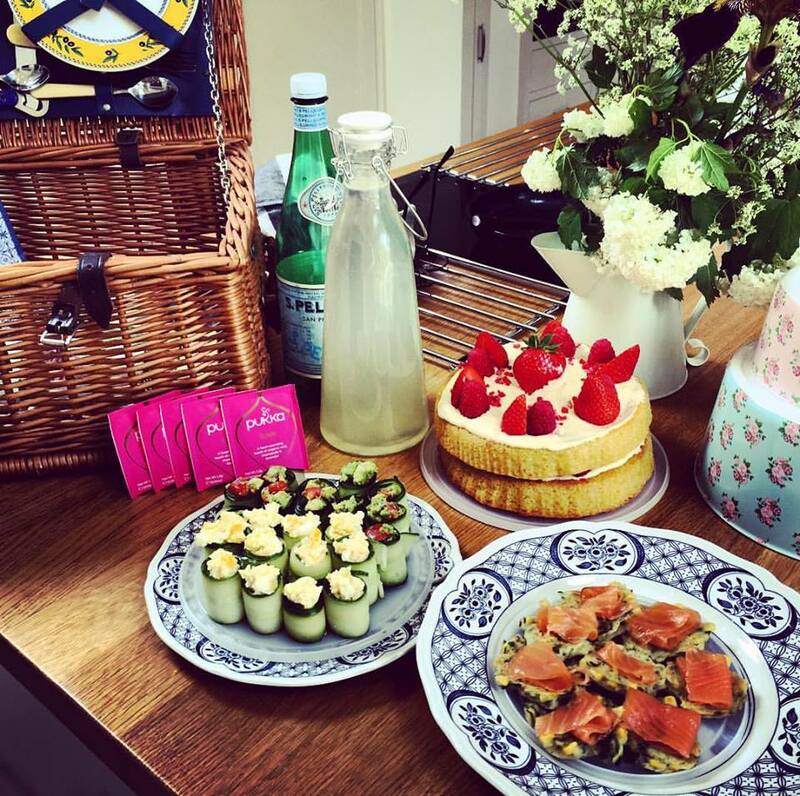 This was a picnic that I created for some friends of mine; determined to do my own take on a traditional English high tea, but more on that later! Back to this thirst quenching delight of a drink! Strawberry & Thyme homemade soda. Having drunk something similar in a café in Auckland one day I was determined to recreate this at home. It’s wonderful to have with either some sparkling water or for some Sunday brunch yumminess this particular soda goes incredibly well topped up with Prosecco and a fresh thyme sprig placed in the top! Great cocktail for picnics too as it looks impressive and obviously there’s no Tom Cruise style shaking to be done!